The first chilly days of winter should turn our thoughts to those who don’t enjoy the warmth and security of a brick house, a fireplace, a comfy bed and a doona. You may glimpse such people huddled in doorways, covered with threadbare blankets or sleeping bags, as you rush from one place to another. There could be a piece of cardboard with “homeless – please help” written on it. And there may be a dog, keeping a wary eye out. There are many and complex reasons why people end up homeless and (for a minority of those considered to be homeless) sleeping rough, in their cars, in abandoned buildings, in parks or on the street. While the dishevelled person huddled in a doorway with their belongings in plastic bags might be the stereotype, Homelessness Australia says 6% of homeless people sleep rough or in improvised dwellings like tents and shelters. The others find temporary accommodation, maybe at a mate’s place or at a hostel. That still means that on any given night in Australia, six to seven thousand people are sleeping rough. According to Homelessness Australia, the main reasons include domestic or family violence (23%), financial difficulties (16%), housing crisis (15%), inadequate or inappropriate dwellings (11%), relationship or family breakdown (6%), housing affordability stress (5%) and 20% described as “other” which we assume includes mental health issues or a combination of events. One in 200 Australians are said to be homeless at any point in time, albeit at times for a relatively short period. On our population today that’s about 119,000 people without a secure roof over their heads. She Who Visited Melbourne Recently said she was surprised, no, shocked to see so many people, women, young women, on the street, apparently nowhere else to go. She and her friend had been out to dinner and there was so much food they couldn’t eat it all and asked for doggie bags. Naturally enough, given their generous nature, they offered these food packages to a couple of homeless women, despite some concern that they might be told to eff off. But no, the food was gratefully received. The Salvation Army told the Sydney Morning Herald last week poor families in Australian cities are living on as little as $18 a day. The Salvation Army surveyed 2,400 people and found that their average weekly income was $305, but they spent $180 on accommodation, leaving just $125 to cover all other expenses including food, transport, clothing and utility bills. Those on Newstart had the least money after housing costs, with childless couples managing on just $9.57 a day. Two-thirds of parents were unable to afford children’s activities or an internet connection and one-third could not provide fresh fruit and vegetables for their children each day. Clearly people living on a budget like that are at risk of becoming homeless – do you eat or do you pay the rent? And how many of them will read this internet-delivered essay? It isn’t hard to find the statistics for homeless people in big cities. There are agencies that keep track of indigent people, although the accuracy of the figures is questionable, given the tendency of homeless people to roam and the Gen X practice of “couch surfing”, which is basically kipping on the couch at a mate’s place until one of his housemates objects to the extra body not paying rent. The real issue with statistics on the homeless is that the reliable numbers (from the Census) are already four years out of date. In 2010, the Federal Government sought to improve this, commissioning the Melbourne Institute of Applied Economic Research to design and implement the Journeys Home survey. The survey tracks a national sample of individuals exposed to high levels of housing insecurity. The sample uses Centrelink’s Homeless Indicator which tracks recipients of an income support payment flagged as either “homeless” or “at risk of homelessness”. The May 2015 Journeys Home survey found that about three out of five respondents experienced homelessness at some stage over the two and a half year survey period, most for a relatively short period of time. Of the three types, primary homelessness − people without conventional accommodation − was much less common, with only around 12% of respondents literally homeless at some stage over the survey period and typically for relatively short periods. Journeys Home defines a secondary homelessness as people who move frequently from one form of temporary shelter to another, and includes ‘couch surfing’ and use of emergency accommodation (refuges, shelters, etc.). 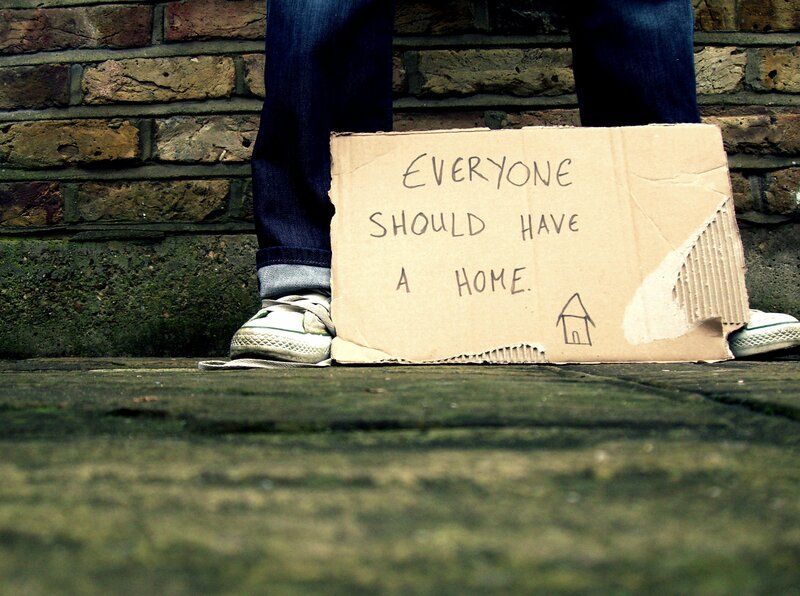 Tertiary homelessness refers to people staying in boarding houses on a medium to long-term basis (13 weeks or longer). I wondered which of these categories is more prevalent in our Hinterland village, a prosperous little town of 3,000. Rental properties are tightly held here and you need good references to get a foot in the door. The Maleny Neighbourhood Centre is holding a “conversation” later this month about emergency housing, as the people who run the centre are well aware that homelessness is an issue here. The Centre has a project through www.streetswags.org/ to distribute swags to people who need them. The waterproof swags, which have a pillow compartment where the person using the swag can store clothes, are made by prisoners at the Woodford Correctional Centre. They cost $80 each and the Neighbourhood Centre is hoping to raise money to buy swags for people who come to the centre on a daily basis with nowhere to sleep at night. Adrian Pisarski, executive officer National Shelter says the swag is a practical response, but a temporary fix. But tight rental vacancies in most capital cities and regional towns mean intense competition when a house or flat comes up for rent. Musician friends moved to Melbourne a few years ago and turned up for a 5pm rental house inspection to find 50 other people waiting in line. “If we’d known, we would have brought our instruments and busked,” they joked. The University of Melbourne’s Dr Shelley Mallett, writing for The Conversation in 2014, described a similar scene she witnessed in West Brunswick where the house next door was up for rent. Like the time before, a couple with a baby took up residence. Mallett said young, single people found it hard to compete in some segments of the rental market and were more likely to be in precarious housing situations such as unaffordable housing or overcrowded households. They were also more likely to be the victim of a forced move. No wonder, then, that young people are leaving home aged 23 or 24, later than other generations, often returning to the family home multiple times following job loss, tenancy breakdown or other life crises. Whatever compromises have to be made between parents and their adult children, it surely beats a swag on a park bench in the middle of winter. Thank you for your informative & sometimes funny articles.